As the Trump Administration continues to threaten the livelihood of millions of hardworking Americans with reckless policies and proposals, Financial Services Committee Democrats are committed to tracking Trump’s destructive actions against consumers and investors. The Wall Street Reform and Consumer Protection Act was enacted in response to the worst financial crisis since the Great Depression, caused by years of lax enforcement of regulations and zero accountability for the nation’s financial institutions. Ranking Member Maxine Waters introduced landmark legislation that would provide significant resources to end homelessness in America. The measure is a bold effort to declare what is really needed to address this crisis. Congresswoman Joyce Beatty is a native Ohioan with a strong history of connecting people, policy and politics to make a difference. Since 2013, Beatty has proudly represented Ohio’s Third Congressional District. As Chairwoman of the Financial Services Diversity and Inclusion Subcommittee, she will lead the Committee’s efforts to ensure the financial services industry meets the needs of and works better for the middle-class, at-risk Americans, and all hardworking families. 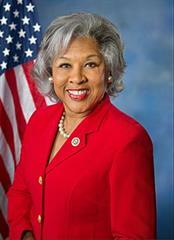 Learn more about Congresswoman Beatty here.